The president's lost it. Federally mandated group hugs, a pudding embargo...what's next, gun control? 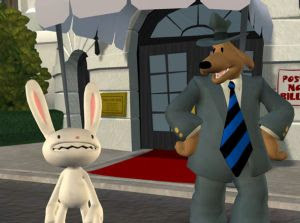 Sam & Max are off to Washington to take care of this bozo, but the political climate will only get stormier...and a new power will rise.